If, like me you’re somewhat of an avid Lost zealot, you would already be on episode four of series five (if not, how can you call yourself a true fan?). But is watching the latest episode in weekly instalments just not enough? Do you crave some other form of media to help you channel this obsession you have with arguably, one of the greatest shows to come out of the US? 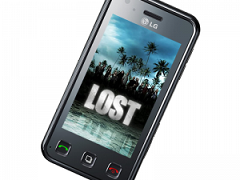 If your answer is yes, yes and yes, and you of course are the possessor of the LG Renoir, you can download a Lost theme for your mobile, packed with a set of (I imagine) jungle-esque or character based wallpapers to stare at each time you find yourself drifting into dreamy scenarios involving Matthew Fox or Josh Holloway. Click here and follow the detailed instructions on how to change the Renoir’s wallpapers and get your visual fix. How are you upto episode 4 of season 5? Theres an episode out there I havent seen yet? *twitch*.